Editor’s Note: This article is part two of Thrillist Los Angeles' year-end look at the best of our city’s local food and drink scene in 2016. In addition to our annual Best New Restaurants award, this year, we’re spotlighting the men and women behind the dishes we love to tell you to eat. Whether they bucked the national trends, revived classic local flavors, or otherwise drove the city's culinary scene, these are the chefs that stood out this year. You can also check out our picks for the rest of America’s 2016 Best Chefs, and then catch up on our Best New Restaurants. Not to beat a dead horse, but LA's culinary scene is on some for-real next-level plane right now: The Washington Post ranked it No. 3 in the country, above NY and Chicago; GQ called it the most exciting food scene in America; and Lucky Peach ALSO called it the best food city in America. Of course, the credit goes to chefs who next-leveled the game this year. Our line-up of the best chefs in town includes one of LA's most notorious chefs who spent the year trying to change the way the country eats fast food, the chef from 2015's most unlikely critically acclaimed hit, Baroo, and a pastry chef working out of a small window in Chinatown. Also in the mix? 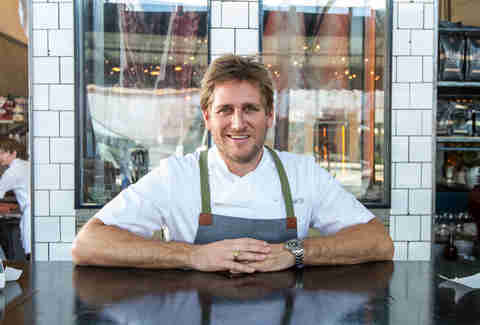 Other household names (Curtis Stone!) and exciting newbies (Ria Wilson!). To figure out what makes them (and the city) tick, we interviewed them all: Here are Thrillist Los Angeles' chefs of the year. 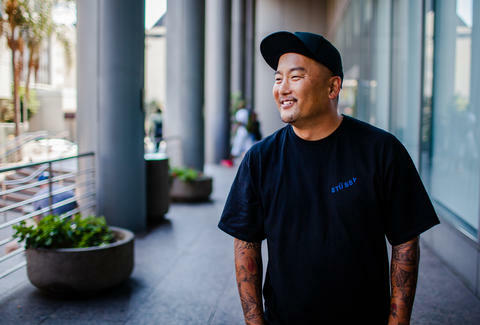 Roy Choi's bestselling book is called L.A. 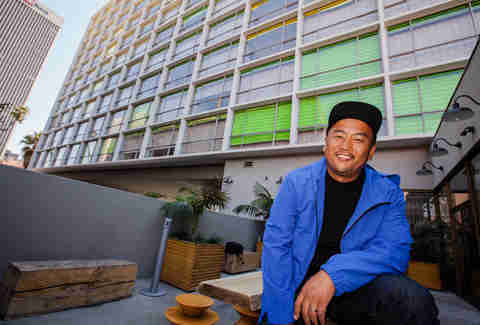 Son, and the Kogi founder has become one of the city's defining voices in the last decade, but his year this year -- which found him launching LocoL, the Watts-based fast-food restaurant that's aiming to change the way people in underserved communities eat, as well as partnering with Whole Foods for an outpost of his beloved rice bowl spot Chego and the first-ever brick-and-mortar Kogi Taqueria -- was particularly noteworthy. We spoke with him about the challenges he didn't see coming with LocoL; what it means to be an adult in today's world; and why this year was so challenging in our Q&A right here. It was no small decision to name Nick Erven's all-vegan eponymous restaurant our Restaurant of the Year, but it was definitely the right one: Though there's not even a hint of meat on the menu, Erven has proven that it's one of the most exciting -- and flavorful -- openings this year. 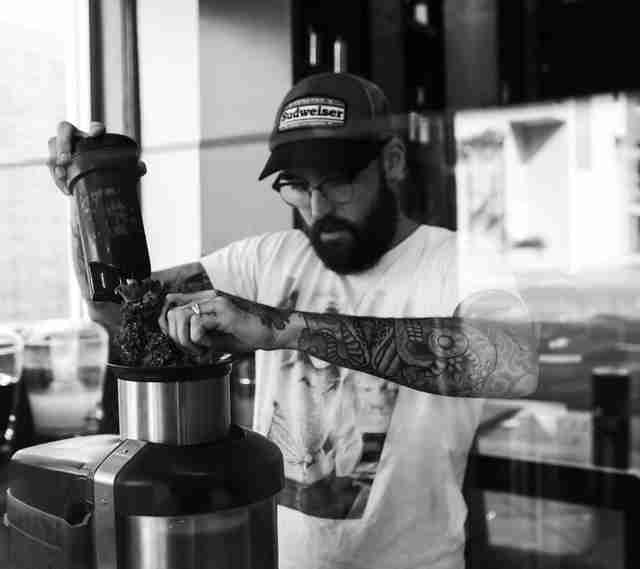 We spoke to Nick Erven about whether he's ahead of or riding the wave of the vegan trend, why Santa Monica was the perfect home for him, and what he's looking forward to next year. Though Baroo opened in late 2015, this was definitely the year the restaurant broke: The tiny spot, which concentrates on palate-popping dishes that taste, well, like nothing you've ever had thanks to fermented seaweed and fruits and outsider grains like Job's tears, was anointed one of Bon Apétit's best restaurants in the US this year, just one among a number of accolades that have made the strip-mall spot a must-visit destination for any LA food tourist. 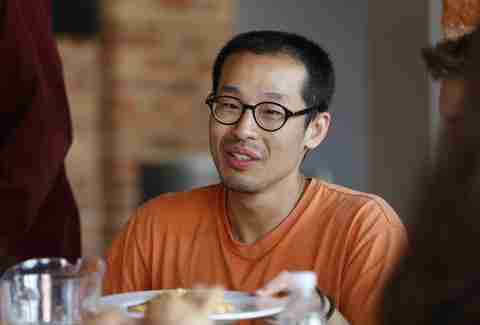 Chef Kwang Uh answered our questions via email, which we've edited for clarity; he waxes philosophically about critical recognition, how incredible this year was for him, and what's next for him and his partner Matthew Kim. You may not yet know Ria Wilson’s name, but there’s a good chance you’ve eaten her food. Whether it was when she helped to open Sqirl, or when she ran the Wild at Canelé residency with her husband Matt. 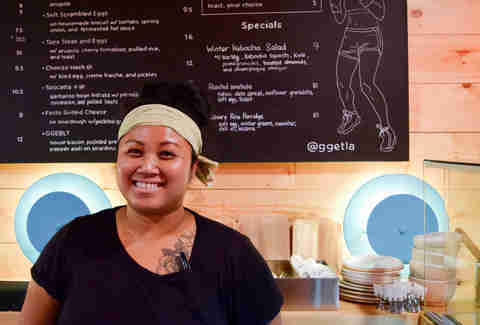 And even if you haven’t, you’re going to want to make your way to Go Get Em Tiger in Los Feliz to devour her all-day, Filipino-inspired brunch menu. While at first glance you might take the offerings to be your standard breakfast fare, the flavor-packed options include clever variations like an adobo grain bowl topped with an egg or the pan de sal breakfast sandwich with Filipino-cured bacon. 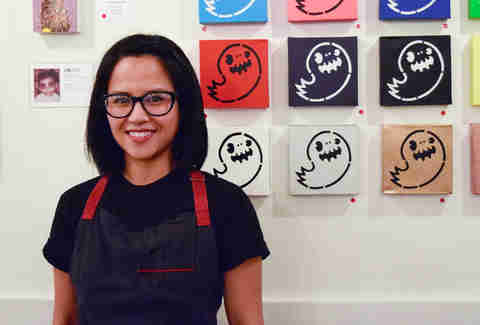 It’s the perfect cross-section for those looking to venture into new territory with on-trend Filipino flavors, and we talked to Wilson about Filipino food's breaking through this year, as well as what she's got on tap for next year. In a town full of people who've built their name on a TV-star reputation, Curtis Stone stands out for proving that he's more than just a pretty face: At Maude, his first restaurant in LA, he became a fixture at the stoves, making incredible tasting menus that rapidly demonstrated he was no food-stylist showboat but an absolute next-level chef. For a sequel, he brought the city the grand, beautiful Gwen, which has become a must-visit food destination in Hollywood -- and when's the last time that part of the city had one of those? We talked to him about his banner year, what it's like to work with family, and why he loves LA. Jeff Miller is LA's Senior City Editor, and thinks he deserves a chef of the year nod for scrambling eggs on the daily. He's at @jeffmillerla on Instagram and Twitter. Danny Jensen is a regular contributor to Thrillist LA, and is at @dannyseamus on Instagram and Twitter.